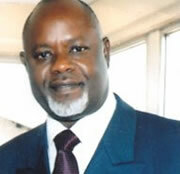 Nigeria’s Shipping Mogul and President, Ship Owners Association of Nigeria (SOAN), Engr. Greg Ogbeifun has been appointed member of the Commonwealth Enterprise and Investment Council (CWEIC) Advisory Board. The Council is commissioned to work with Commonwealth Governments to attract investment, promote enterprise and improve the business environment. The 32 man team would also work with member companies to expand their businesses and to help with new investments in any Commonwealth country. The CWEIC would also focus on ensuring economic governance and good business practice, infrastructure investment, sustainability, support of SMEs access new markets through the Commonwealth’s First initiative, women in business and youth entrepreneurship. The Commonwealth Enterprise and Investment Council (CWEIC), established in July 2014 with the support of the Commonwealth Secretariat is a not for profit membership company with a mandate to facilitate increased trade and investment across the Commonwealth.